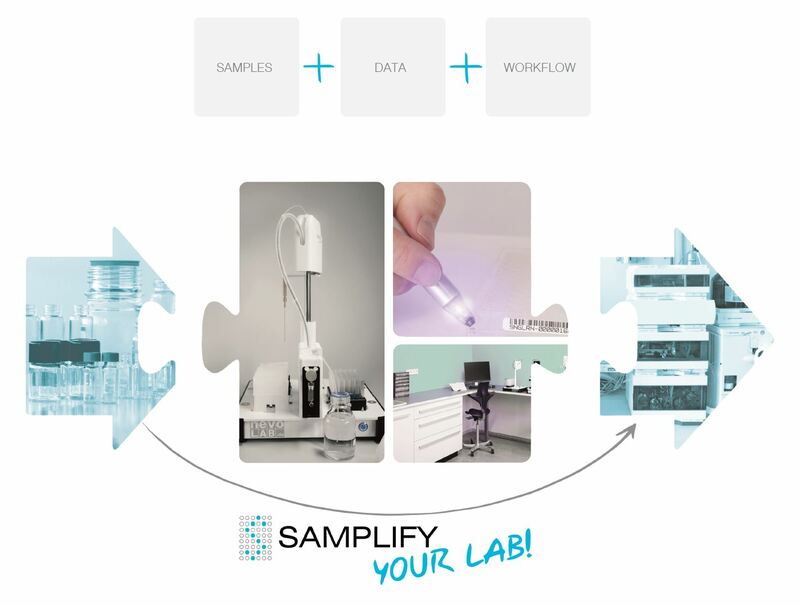 SAMPLIFY your LAB means clever, efficient and flexible solutions for your present lab workflows. The focus is set on an optimized support for your team and to create a product that perfectly fits in your data and lab environment. We get started to learn and understand your laboratory workflow in detail. Further to evaluate where we can support the present processes most efficiently. Together with your lab team we create an individual system. Including data processes, software elements and robotic systems. Contact us for a free meeting!